Large up/down 2 family in Kenoza area. Newer roof on house, furnace, hot water heater, vinyl and most windows. Set on a corner lot with off street parking, fenced in yard and a garage/barn (needs TLC). Natural gas heating and separate utilities. Upstairs unit consists of two floors of living with original hardwood floors, period details and high ceilings. On the second floor there are three rooms for bedrooms or living space and a eat in kitchen. Kitchen needs some cosmetic attention. 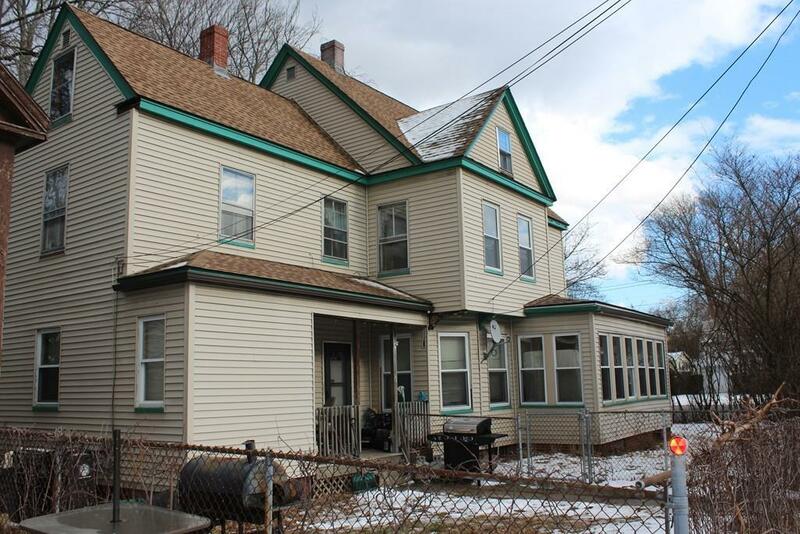 The third floor has two bedrooms with hardwood floors and a walk in attic. A great owner occupied property or excellent units to rent.